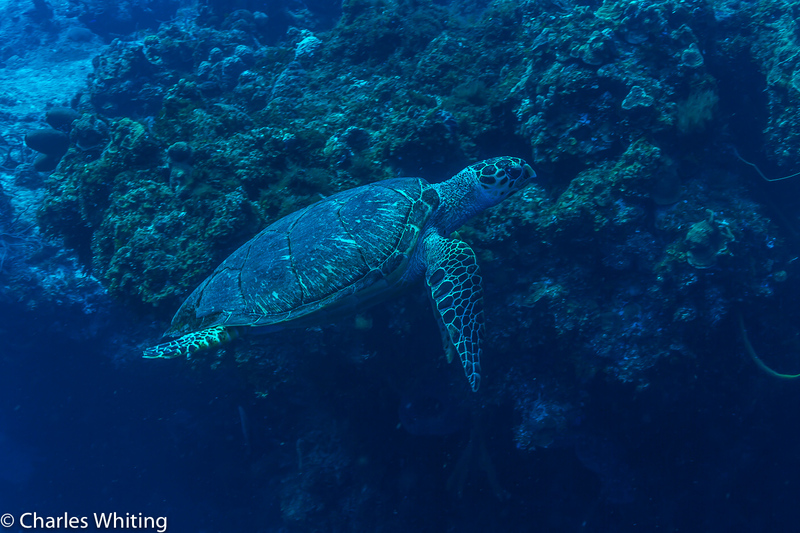 Hawksbill turtle swimming along the Cozumel wall. Cozumel, Mexico. Photo © copyright by Charles Whiting.